Where can I get clean, green power in New Zealand? Protecting the planet is something most New Zealanders say they care about. But when it comes to power, going off the grid with solar panels and wind turbines is simply a step too far for many families. Thankfully, it is possible to use clean, green energy from the national grid by making a smart choice before turning on the lights. What is clean power in New Zealand? However, not all of this power is carbon neutral, even though it comes from a renewable source. Geothermal power, in particular, is a clean, renewable source but does produce some greenhouse gas emissions. It involves piping geothermal fluid from several kilometres deep, releasing some geothermal gases and minerals. 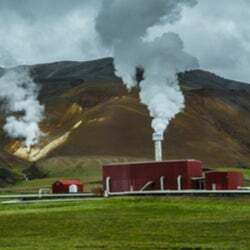 However, a geothermal power station still produces fewer greenhouse gas emissions than the cleanest natural gas-fuelled power station, according to the Energy Efficiency and Conservation Authority. After the geothermal fluid has been turned to steam to drive turbine generators, it is re-injected into wells, so it is renewable. Conversely, biogas – a gas produced by the breakdown of organic matter in the absence of oxygen, such as manure or landfills – is thought to be carbon neutral. It has no greenhouse effect if the carbon dioxide given off while it is burnt is absorbed as the next crop of biomass grows. The burning of wood can also be carbon neutral if it is done efficiently from a sustainable source. Which generators make clean power? Meridian Energy is the only electricity generator in New Zealand to commit to generating electricity only from renewable resources. That is lucky because Meridian is also the country’s largest generator, creating 35% of New Zealand’s power in 2014. 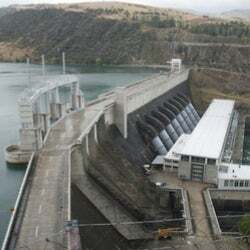 Meridian operates seven hydroelectric power stations and one wind farm in the South Island, along with four wind farms in the North Island. Meridian also has two wind farms in southern Australia. Meridian Energy is also an electricity retailer, so customers can sign up to Meridian if they support its carbon-neutral stance. Mercury, formerly known as Mighty River Power, also uses renewable energy. It has nine hydroelectric power stations on the Waikato but it also has five geothermal plants – so, while it is 100% renewable, it is not carbon neutral. Mercury generated 17% of the country’s electricity in 2015 and, like, Meridian Energy, it also runs a retail business. Trustpower has a “strong focus on sustainable generation” with 38 hydroelectric power stations. However, it also has one small diesel power station in Northland which is “occasionally used for transmission support”, the company says online. Trustpower is continually seeking to expand it generation network, make efficiencies and minimise environmental impacts. It generates about 5% of New Zealand’s power and also has a retail arm. There is a raft of small Kiwi generators that offer renewable electricity. A number of them are lines companies that offer a renewable source in their area, such as Top Energy which has a geothermal plant in the Far North, and Westpower which has a hydroelectric generator in Westland. Other companies focus solely on generation. The number of wind farm operators has increased as wind power becomes a bigger part of New Zealand’s power generation. These include Windflow Technology, Tilt Renewables and New Zealand Windfarms. However, it is important to note most of these smaller generators do not have an electricity retail operation. This means households cannot go directly to these generators for their power, they must go through a retailer. Which retailers support clean power generation? As mentioned above, Meridian Energy generates power using carbon-neutral hydroelectric powers stations and wind farms, and it has committed to using only renewable resources. As a retailer, Meridian is the first power company to be accredited by Conscious Consumers. Meridian also offers an Electric Car plan, special deals to encourage customers to go electric and discounts for products that help customers save power. Ecotricity is New Zealand’s only provider of carboNZero Certified Electricity. This means it buys power from specific wind, hydro and solar generation sites, measuring all greenhouse gases associated with the full lifecycle of those stations. Any remaining emissions that can’t be avoided are offset by buying New Zealand Native Bush Carbon Credits. 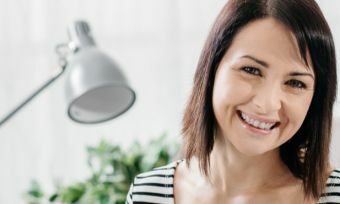 A relative newcomer to the retail market and one of the smaller retailers, Ecotricity is owned by the wind farm developer Wind Farm Group, and hydroelectric and biogas generator Pioneer Generation. As well as focusing on renewable power, Ecotricity aims to electrify New Zealand’s vehicle fleet, and help customers switch away from the use of gas. P2 Power recognises that all retailers get their power from New Zealand power generation’s giant “mixing pot”, and retailers cannot guarantee power is 100% renewable. Instead, P2 Power tells customers when the cleanest times are to use power, as more non-renewable fuels are burnt when demand is high, when the hydro lakes are dry or when there is not much wind blowing. P2’s PowerPal app tells customers when the best times are to use power (such as at night when demand is low) and offers rewards for using power during those clean times. P2 Power is also a relative newcomer to the market with a small market share. As mentioned above, Mercury is a 100% renewable energy generator, although it is not carbon neutral. As a retailer, Mercury has special plans for Electric Vehicle owners and offers discounts for e-bikes. Mercury is now a member of EV100, an initiative to help reduce carbon emissions and drive electric transport as the new normal by 2030. Powershop, the electricity retailer that lets customers take control of how they pay for power, is also clean and green. It is a subsidiary of Meridian Energy, New Zealand’s renewable, carbon-neutral generator. Globug, the electricity retailer which focuses on providing customers prepaid power, is also green. It is a subsidiary of Mercury, the 100% renewable generator.